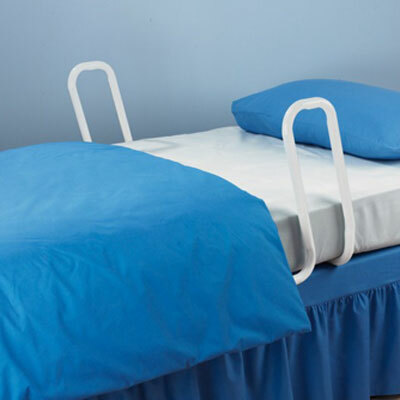 The ergonomically designed handrail provides additional support when getting in and out of bed. The ergonomically designed handrail provides additional support when getting in and out of bed. It allows the user to easily and comfortably move fromlying to sitting and then to standing position. The adjustable telescopic frame is designed for use with single, double and king size divan beds. Not suitable for slattedor profiling beds. White powder coated finish.